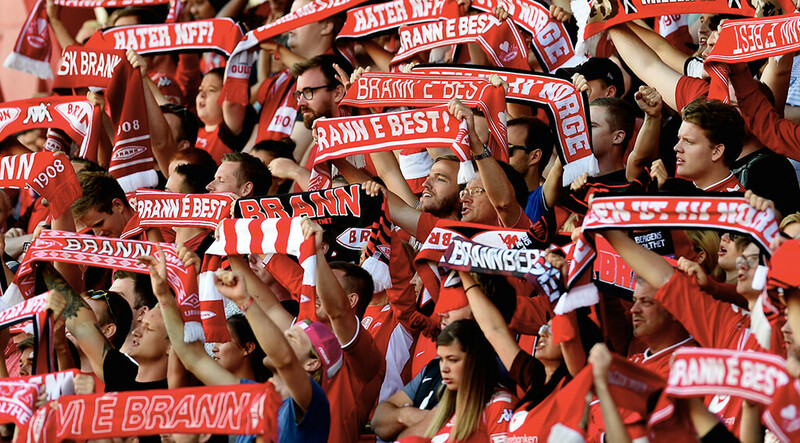 From the end of one season to the end of next, the Norwegian top league club SK Brann increased their share of digital ticket sales from 25 to 75 per cent. The reason for this remarkable change is TicketCo. “The user friendliness for our ticket buyers was what made us choose TicketCo, and this simplicity has proven to have a great value for the club as well,” said SK Brann’s head of ticket sales, Mats Thorbjornsen. He was one of the participants in the product due diligence and the following negotiations when the club chose TicketCo as their ticketing supplier prior to the 2018-19 season, and as the season went he experienced a lot of positive effects from their choice. “At the end of the 2017 season, approximately 25 per cent of our ticket sales was digital. One year later the share had increased to 75 per cent, and the effect from this has been tremendous,” Mr Thorbjornsen said. For the ticket buyers at SK Brann this means three out of four now are purchasing their tickets where and when they want, either through their phone or their computers, without having to worry about opening hours, queues or other external issues. “For SK Brann as a club this saves us a lot of expenses. It also spreads the sales throughout the whole week. This means that we no longer need to staff up our ticket office prior to match day,” he added. The club is also experiencing very satisfied ticket buyers. “To switch from an old fashioned method to a modern, mobile based ticketing system is quite a change for supporters who have been with us for years. We reckon it will take years to reach a share of 100 per cent digital sales, but we are happy to see that our supporters are embracing the new ticketing solution. Some of them bring print at home tickets on match-day, others simply their phones. The QR scanning at the gates is flawless and highly efficient,” said Mr Thorbjornsen. “In addition to this, people find the customer journey itself unblemished. Two or three clicks on their phone is all it takes to buy a ticket,” he added. Another great improvement with TicketCo at SK Brann is the sale of season tickets. “Previously we handed out plastic cards which gave admission to all the matches throughout the season. This was a fair solution for those who used their card themselves, but for companies who use their season tickets as shared benefits amongst the staff it was close to a logistic nightmare,” said SK Brann’s head of ticket sales. “For these customers we have therefore produced paper coupons, containing individual tickets for each and every game. This was a better solution than the plastic cards, but still far from perfect,” he added. This system saves SK Brann a lot of manual work, and has made life much easier for our season ticket buyers,” said Mats Thorbjornsen. For distribution he simply uses Dropbox links. Mr Thorbjornsen predicts that this way of simplifying laborious procedures soon will be expected by the general ticket buyer. “Peoples’ expectations develop as their everyday life becomes more and more streamlined. What was good enough yesterday will be obsolete tomorrow. We need to be ahead of the expectations, and we need to supply a frictionless customer journey free of unnecessary prodecures and annoyance,” he said.